Computer video games have become highly interesting to educators and researchers since their sophistication has improved considerably over the last decade. Studies indicate simple video games touting educational benefits are common in classrooms. However, a need for identifying truly useful games for educational purposes exists. This article begins with an examination of lower level learning in so-called edutainment products and concludes with an example of an advanced social studies simulation that fosters higher order thinking. The article identifies characteristics of highly cognitive virtual interactive environments and offers a detailed index and scoring rubric as a tool for teachers and preservice teachers to use when evaluating the tendencies a video game demonstrates toward encouraging higher order thinking in its participants. Rice, J. (2007). Assessing Higher Order Thinking in Video Games. 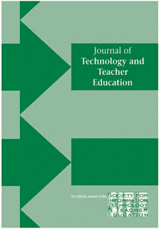 Journal of Technology and Teacher Education, 15 (1), 87-100. Waynesville, NC USA: Society for Information Technology & Teacher Education. Retrieved April 19, 2019 from https://www.learntechlib.org/primary/p/6321/. Laurel , B . (1991) . On dramatic interaction . Verbum , 3(3) , 74-80 .